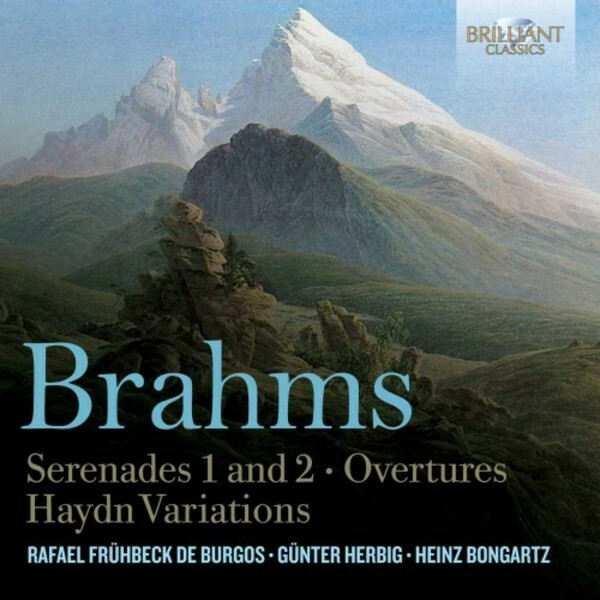 This release brings together Brahms’ symphonic works, excepting his symphonies: the two Serenades, brimming with youthful energy and feeling, the magnificent Haydn variations and the two popular overtures, the Tragic and the 'feel good' Academic Festival Overture. Despite numerous recordings, it is still worth gazing back into time a little and alighting on these 1960s East German recordings of the composer’s two early attempts both to avoid and embrace symphonic scale composition in the company of the still under-rated Heinz Bongartz. As his legendary Leipzig recording of Bruckner’s Sixth ably demonstrates, Bongartz never let the grandeur of the Austro-German tradition get in the way of making the music sing. Born in 1894, he overlapped Brahms by four years, and the sense of a heritage tells in these still-vivid recordings made with the orchestra of which he was the founding music director. In 1992 Gramophone remarked of Gunter Herbig that he is a "wise and experienced" Brahmsian, virtues appreciable in these Berlin recordings of works which, like the Serenades, show the composer’s sunny side, even if clouds are never far away.